EURUSD has been choppy due to lack of economic reports and today USD will remain weak. 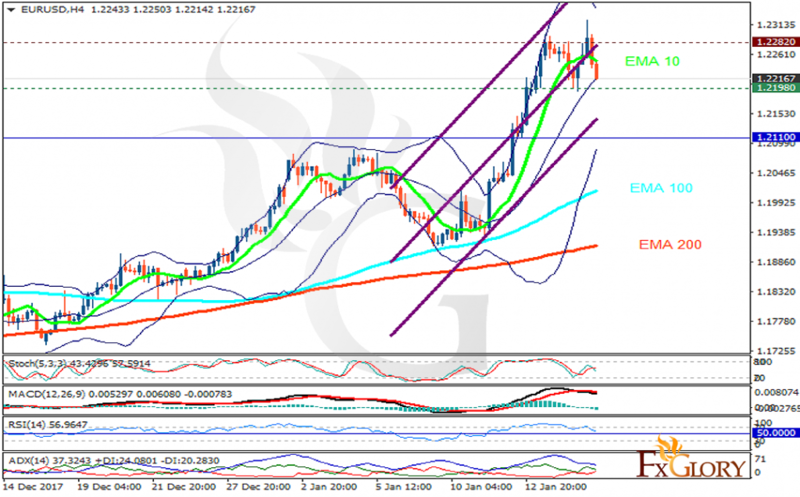 The support rests at 1.21980 with resistance at 1.22820 which both lines are above the weekly pivot point at 1.21100. The EMA of 10 is moving with bearish bias in the ascendant channel and it is above the EMA of 200 and the EMA of 100. The RSI is falling towards the 50 level, the Stochastic is showing downward momentum and the MACD line is below the signal line in the negative territory. The ADX is not showing any clear signals. 1.21 will remain the floor of the market even if EURUSD declines however, taking a long term look, buyers can still target 1.235.